Bíonn seirbhís Ghaeilge ar fáil Dé Luain, (18.00-20.00) agus Dé Máirt (18.00-20.00). (Bíonn seirbhís ar fáil Dé Céadaoin freisin idir 11.00-13.00 ach coinne a dhéanamh). We hope that the new extended opening hours will allow more students to visit the AWC. All students are most welcome. Please note that commencing on Monday 28th October 2013 that we will be extending the Opening Hours of the Library Reading Room at basement level. This facility will henceforth be available for 19.5 hours daily. The AWC will be open this morning (Thursday, 24 October) at 11. In addition to our usual opening hours, the Academic Writing Centre will open today for one hour at 11am. If you have not yet visited the AWC and would like for a tutor to help you improve your writing, please drop in. The Academic Writing Centre is extending its opening hours. If you have not yet visited the AWC and would like to improve your writing, please come and see us today. The AWC is located on floor 2 of the James Hardiman Library. From Thursday 17th October the entrance/exit to the James Hardiman Library is via the main entrance to the adjacent Hardiman Building. Please note that for the moment the Access Control Gates will not be operational. The gates will simply be left in the open position and you can walk in and out of the Library through the lanes without any need to swipe your ID Card. 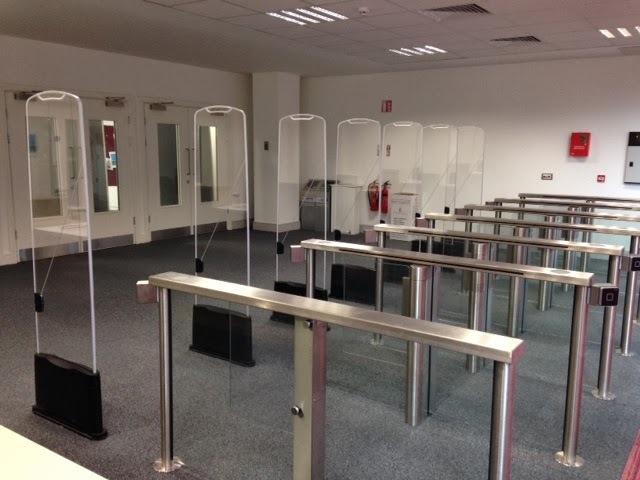 However within the next week or two we will be finalising arrangements in preparation for the system going live, and at that time you will need your ID Card with you on each visit as you will be required to swipe in on entering the library and swipe out on exiting. This will ensure that only bona fide University students/staff and authorised visitors will be able to gain access to the Library. Please be advised that a scheduled maintenance and upgrade for Web of Knowledge will take place beginning on Sunday, October 27, 2013 at 1400 GMT and ending by Monday, October 28, 2013 at 0200 GMT. Web of Knowledge may not be available intermittently during that period. World Mental Health Week takes place from October 6th - 13th 2013. Did you know that the Library has a collection of books dealing with a range of health and well-being issues, including mental health. The Mind, Body, Soul collection was developed in conjunction with Student Services and the Student Counselling Service. During Mental Health Week, why not take the opportunity to check the collection out. Whatever the issues or challenges you are facing, there's likely to be a book there that can help. You'll find the Mind, Body, Soul collection on Floor 1 of the Main Library opposite the Humanities Reference Collection. The theme of World Mental Health Week this year is 'Me Time', emphasising the importance of 'me time' in looking after your mental health and well-being. If you're giving yourself some 'me time', don't forget the Library's Popular Reading collection, containing both fiction and non-fiction books for your leisure reading, and our DVD collection, which includes many popular movies. Both collections are located on Floor 1 of the Main Library.